You want an industrial powder coating company that delivers consistent quality. You don't want to worry that after a few good lots you're "due" for a bad one. You want to trust that every lot will be of the same high quality. That's why customers keep coming back to Superior Industrial Coating. At SIC we care for your parts as if they were our own. When you run a tight ship, shrinkage isn't a problem. We run a tight ship. You don't need to pay extra for high quality powder coating. We're in low-overhead Racine, Wisconsin, so you get a great price. Request a quote. Yes, we can turn your order around very quickly. Our state of the art equipment and technology mean higher efficiency. Let us show you how to improve your bottom line and reduce your headaches with our complete finishing services. From prep to coating, to assembly and packaging, we are your One Stop Finishing Shop. Contact us today. Our six decades of powder coating experience has allowed us to perfect and utilize the most innovative powder coating solutions. At Superior Industrial Coating we utilize coatings that combine optimal corrosion protection, with a strong aesthetic appeal; innovative coating technologies such as UV-cure, NIR cure, acrylics, ultra-low baked, and thin film powder coatings. 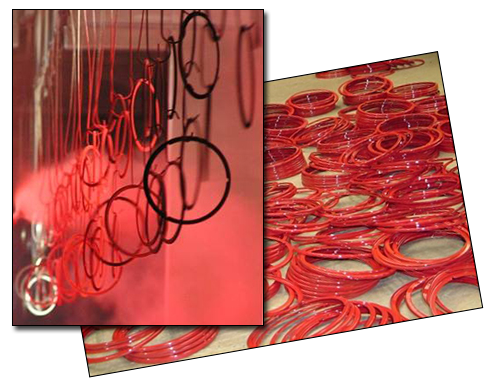 Powder coating was developed in the mid 1900s and SIC was one of the first powder coating companies in the midwest. The coating solutions we offer today are the most advanced available, meeting and exceeding industry standards and performance requirements. Turn to SIC for the most technologically advanced powder coating solutions. (formerly DuPont) to see many of the stock coating colors that are available. Superior Industrial Coating has the expertise to make your finished product truly superior. Our years of experience help us to anticipate and eliminate possible process problems before they happen. Our coating engineers stand ready to recommend the best coating solution for your application. 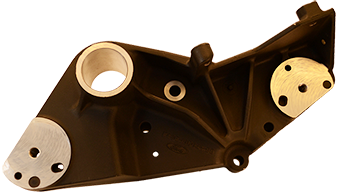 Put our powder coating expertise to work for you. We provide powder coating solutions for your industry, whether it's Aerospace, Automotive & Transportation, Appliance, Architectural, Agricultural, Electronics & Computer, Furniture, Food Processing, Hardware, Industrial, Lawn & Garden, Lighting, Medical, Marine, Military, Sporting Goods, or any other.